I do believe I’m becoming a convert to blondies. I used to think they were sort of second-rate to “real” brownies. 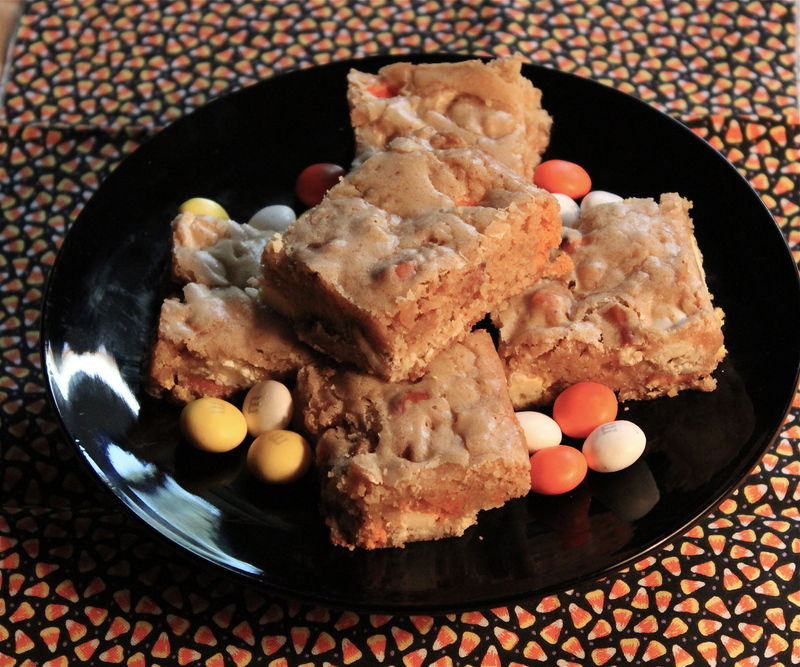 But since early Spring when I first started writing this blog, I’ve found three recipes for blondies, all of which appealed to me enough to want to make them. 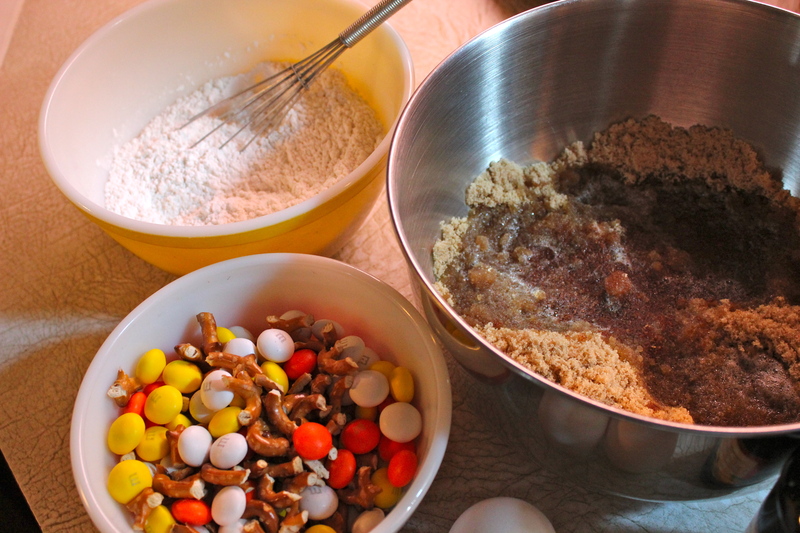 I’ve been saving this recipe since late winter/early spring when it was featured for Easter using pastel colored M & M’s. My thought at the time was that it could easily be adapted to any time of year just by changing the M & M’s. 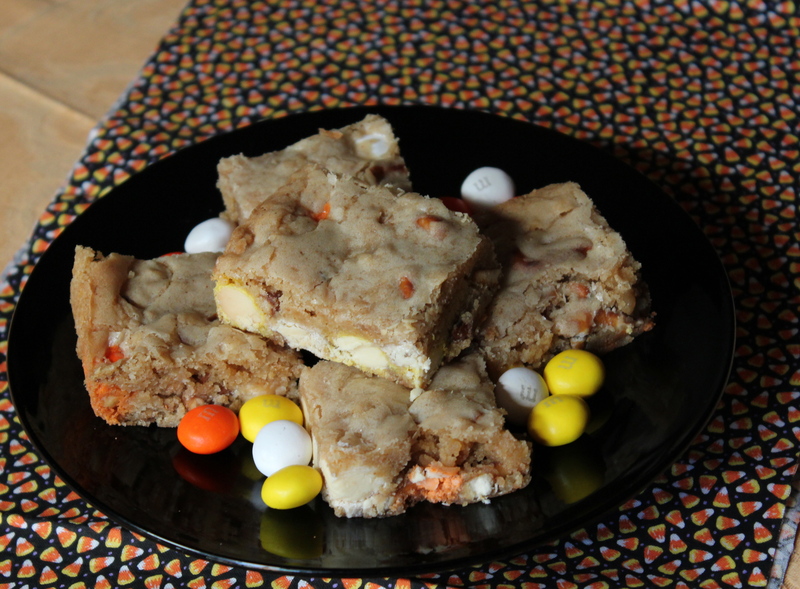 So this past week, when I saw white chocolate M & M’s on display for Halloween I grabbed them and thought “now is the time to try that recipe”. 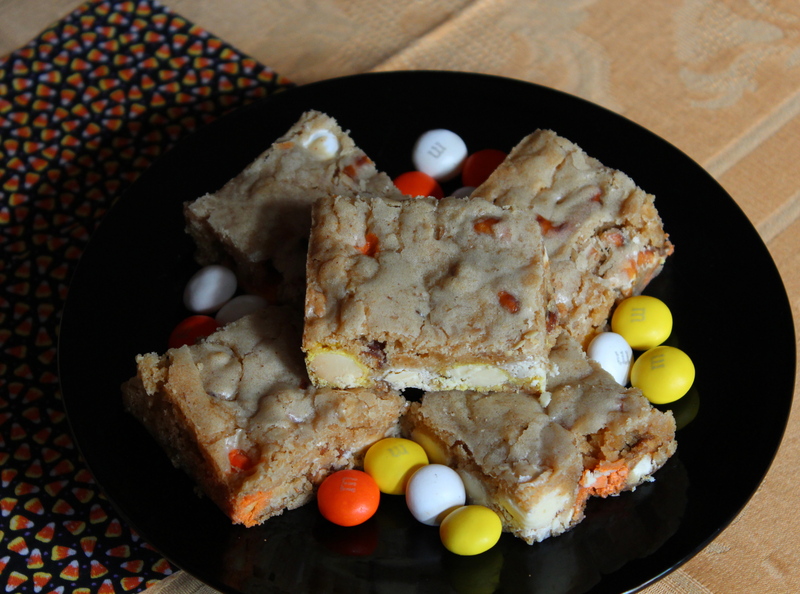 These squares are so easy and quick to make– mixed by hand, no need to get out your mixer–and so pretty to serve with the colorful M & M’s. They taste a little salty from the pretzels, have crunch from the pretzels and candy, and the browned butter provides a nutty background flavor to all of it. My only concern about these bars is related to the salt content. Unsalted butter is not specified but I would recommend it, since the pretzels add salt and the recipe calls for 1/2 teaspoon of salt. If you use salted butter, cut back the added salt to 1/4 teaspoon, since browning the butter adds to its saltiness. 1. Begin by browning your butter. Use a light colored pan rather than one with a dark interior, so you can see the color change in the butter. Allow the butter to melt over low heat, once melted raise heat to medium and let butter cook, watching it all the while for a color change to golden brown. This can take from 2-3 minutes, but it will happen quickly. Remove from the heat at that point, otherwise it will burn. Allow to cool. 2. Crush the pretzels: Place in a zip-lock bag and crush with a rolling pin or meat mallet. They will be a variety of sizes. Break some of the larger pieces with your hands. 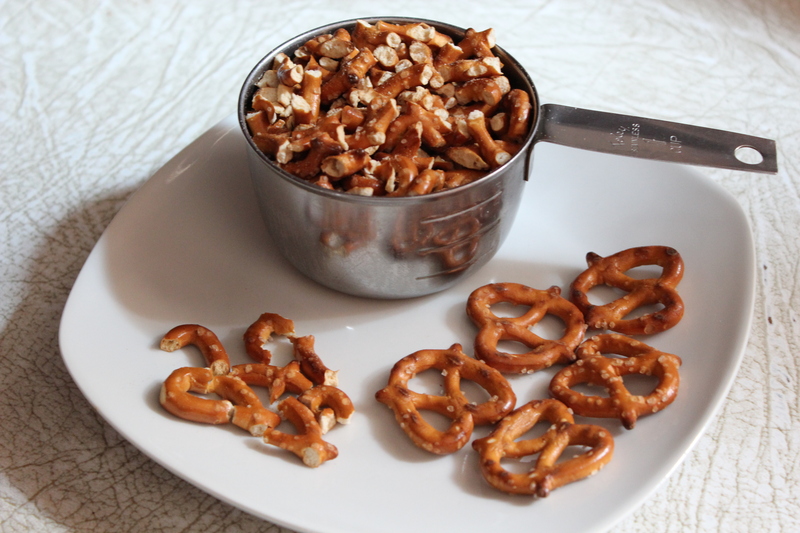 Large pretzel pieces will make it difficult to cut the squares, but you don’t want them to be all crumbs either. 3. Preheat oven to 350 degrees. Line a 13″ x 9″ pan with foil, and spray the foil with non-stick spray. 4. 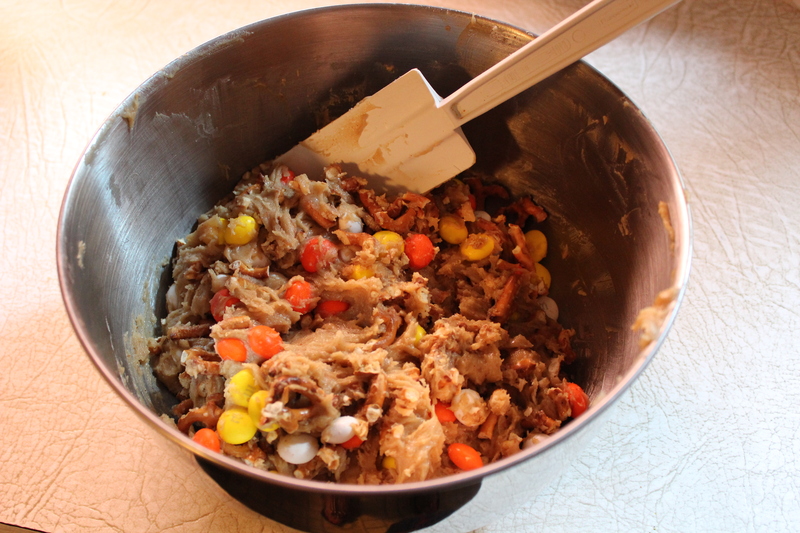 In a medium bowl whisk together all the dry ingredients. 5. 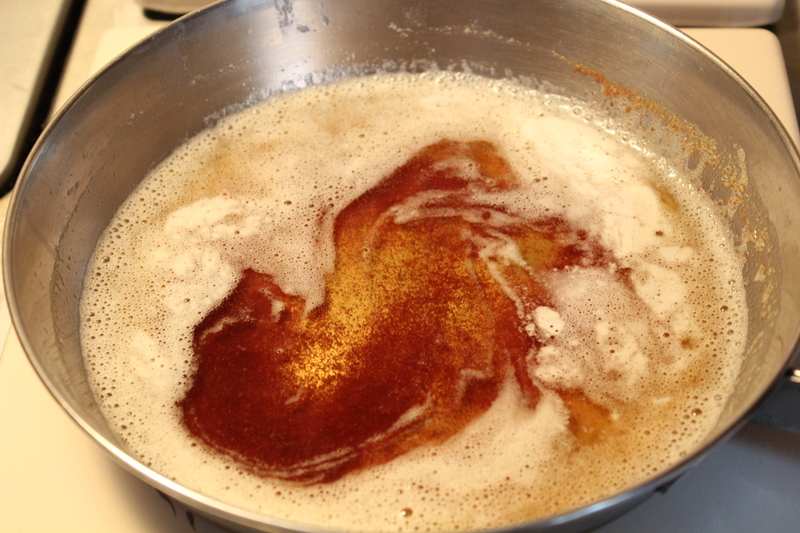 In a large bowl, mix butter with brown sugar, stirring until all the sugar is saturated with the butter. Add eggs and vanilla, stir to combine well. 6. Fold in dry ingredients using a spatula. Don’t overmix. 7. 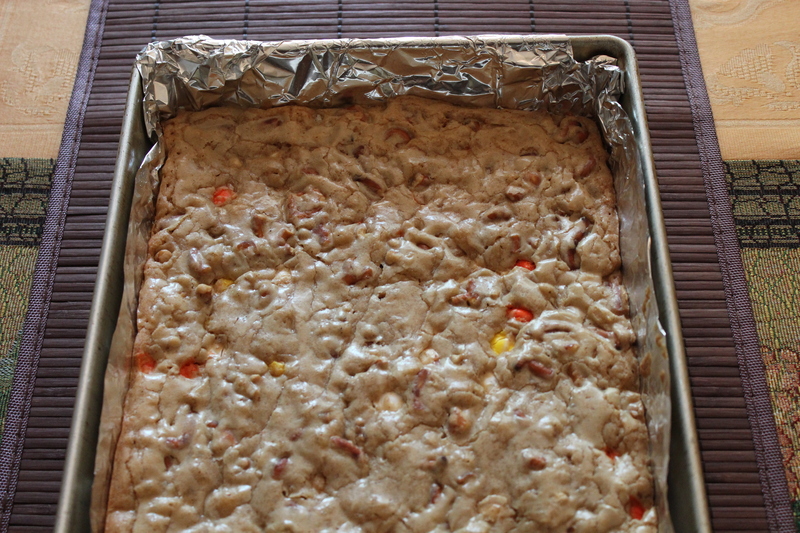 Add in pretzels and white chocolate M & M’s and stir to distribute. 8. 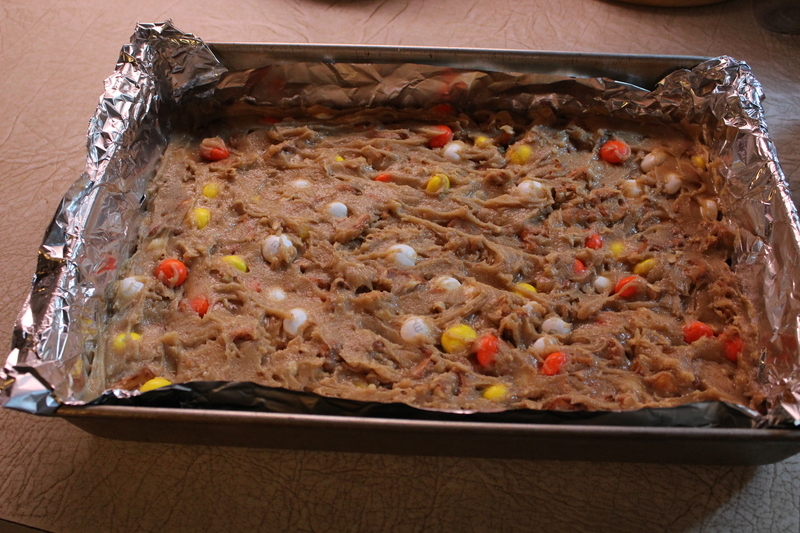 Transfer to prepared pan and bake for 22-25 minutes. The top will be shiny and somewhat crackled. A toothpick should test clean. Remove from oven and cool on rack.